Anyone injured in an accident caused by the negligent acts of another party must comply with specific New Jersey laws when pursuing compensation for injuries. But even though the laws are the same throughout the state, many considerations come into play that can provide advantages when you retain an attorney who is local to your community. The attorneys at the Law Office of Robert Olkowitz, P.C. provide the local support that can make a difference to your case. Convenience: Our offices are conveniently located to many neighboring communities, which is an important factor when your injuries can make travel more challenging. Knowledge of local hazards: Locations can play an important role in determining the causes of accidents, particularly in the case of motor vehicle accidents. An attorney who knows the specific issues associated with certain locations has an important lead in identifying all parties who may be at fault. Awareness of local processes and procedures: While the actual laws are applied statewide, each local court system may have certain unique procedures that can delay the progress of a case when they are not followed. Familiarity with the local players: An attorney who has experience litigating against local attorneys can best anticipate the techniques likely to be used against a client case. Similarly, knowledge of how local judges consider cases can play a major role in how a case is prepared for trial. Of course, local support is only part of the benefits of retaining legal support from the Law Offices of Robert Olkowitz, P.C. 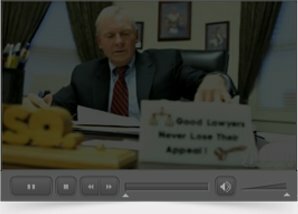 Our trial lawyers treat every client with respect and dignity as we thoroughly examine the details of each unique case. If you or your loved ones suffered an injury, contact the Law Offices of Robert Olkowitz, P.C. to set up a free consultation. We only receive a fee if we obtain a recovery for you.